The Hermosa Plus is a two level townhome featuring the master suite and a 2nd bedroom suite on the main level. With a 3rd bedroom suite on the upper level, this multi-purpose generous space can be used for a home office, exercise area, craft room, bedroom or a combination thereof, depending on your needs. All bedrooms are suites featuring their own bathrooms and the main level has an additional powder bathroom. All homes include central air conditioning. The master suite features a large window capturing the red rock mountain views and a deluxe master bathroom with double sinks, soaking tub, glass shower, separate toilet closet and custom designed walk-in closet. 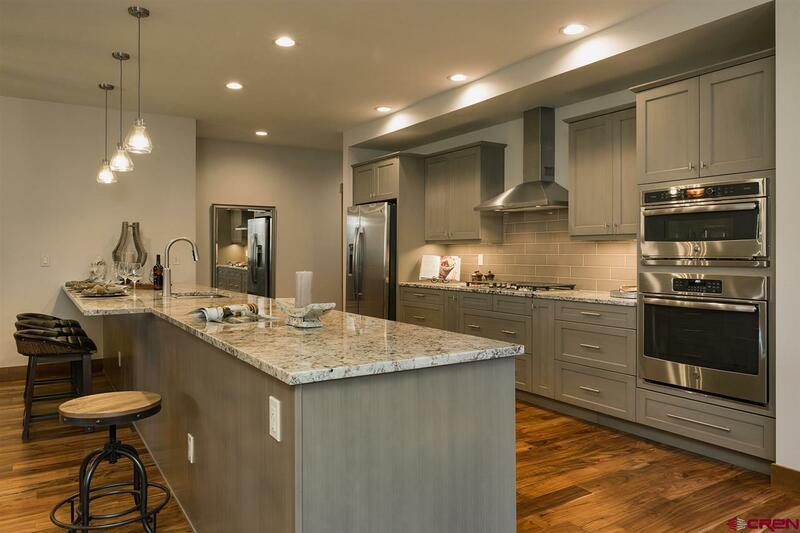 The well appointed kitchen includes stainless GE appliances, granite slab counters with custom tile backsplash and bar seating. 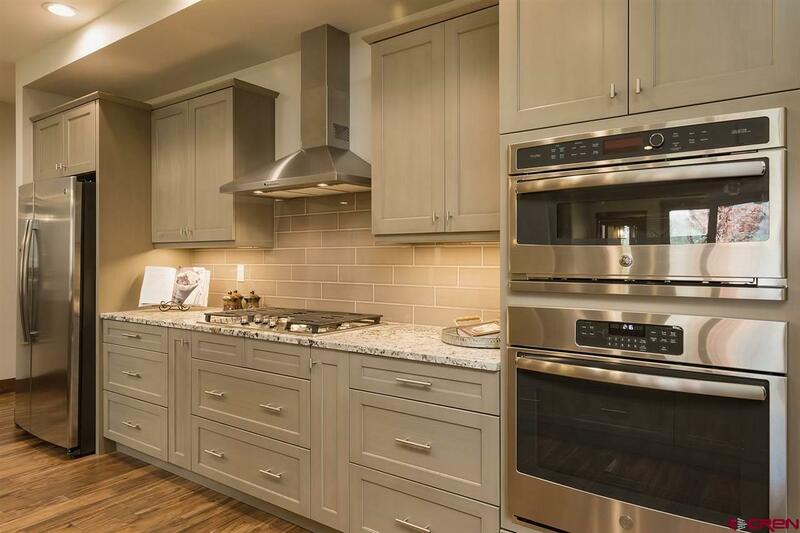 The chef in the family will appreciate the double ovens/Avantium and traditional, 6 burner range with stainless hood, ample cabinet storage including pull out drawers for trash and recycle and a large pantry. The kitchen, dining and living spaces combine to create a central living area large enough to entertain numerous guests. The living room includes a gas fireplace with stone accents, large view windows and opens to a covered back patio which has a gas connection, ready for your BBQ. A roomy laundry room has several cabinets and a sink area. The oversized garage with epoxy floors has plenty of room should you choose to expand your storage with built-in cabinetry. All homes share stunning exteriors including natural stone and low-E windows, with varying combinations of stucco and trim color. The Trimble Crossing neighborhood is made up of multiple ponds and extensive landscaping. 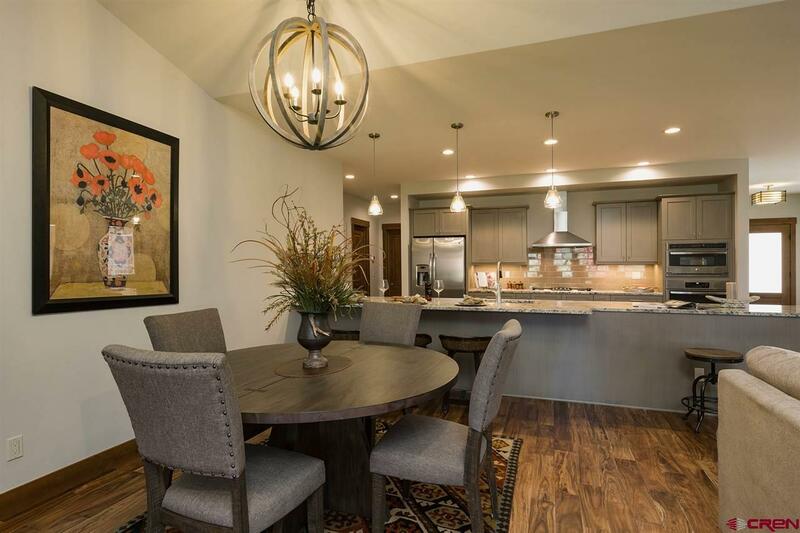 Enjoy the Animas Valley lifestyle, adjacent to the Semi-private Dalton Ranch Golf Course with public restaurant for all to enjoy, walking distance to the Animas River, 20 min to ski resort, 10 minutes to historic down town and 5 minutes to San Juan Nation forest! Amenities include THE SHOPS AT TRIMBLE CROSSING: A gourmet market, wine & spirits and hardware store are now open with further plans for offices and restaurants all within walking access from your townhome. 3 FINISH PACKAGES ARE AVAILABLE AT TRIMBLE CROSSING, ALL SHARING THE SAME LEVEL OF QUALITY, BUT DIFFER IN MATERIAL, COLOR AND STYLE. BUYERS MAY HAVE THE OPTION OF CHOOSING THEIR FINISH PACKAGE DEPENDING ON CONSTRUCTION SCHEDULE. 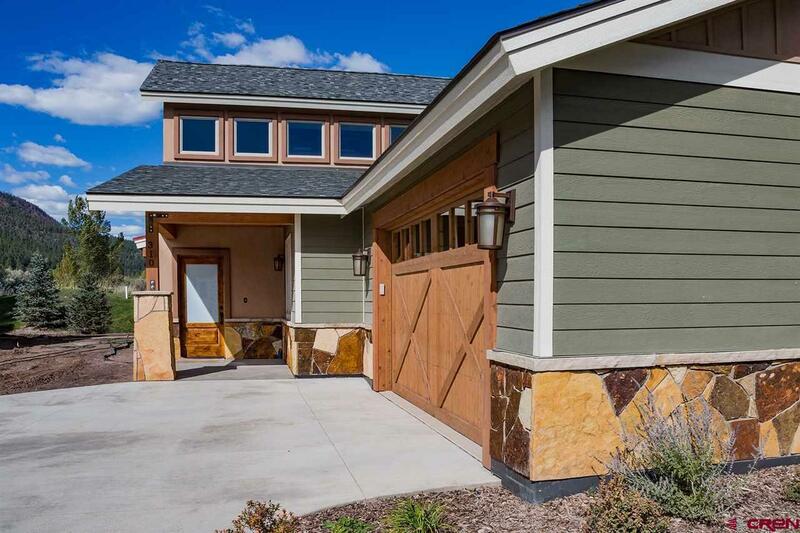 This home features the CREEDE finish package. Developer reserves the right to change or modify finish packages, appliances and materials at any time. Listing courtesy of Legacy Properties West Sotheby's Int. Realty.